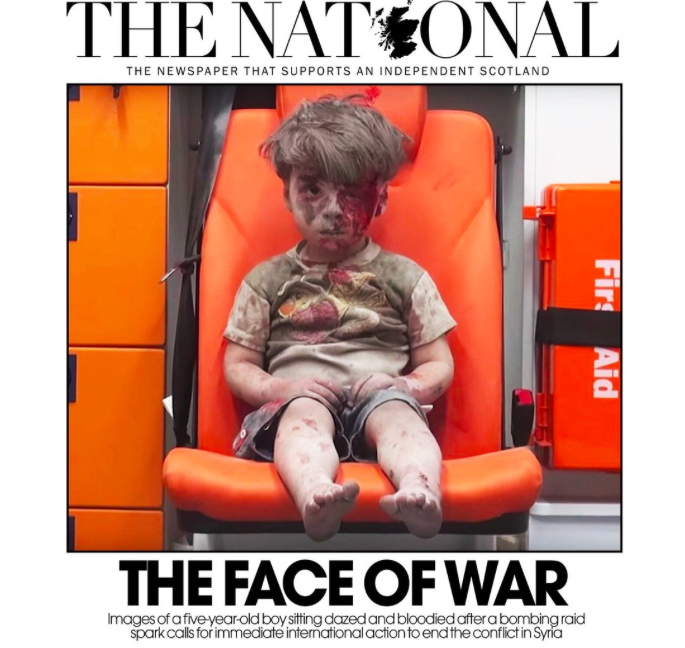 Omran Daqneesh, the five year old Syrian boy whose story on the front page of newspapers around the world moved many readers to call for intervention in Syria. Sometimes an image or a news account of mass violence evokes public outcry. It happened this summer when a dazed 5-year-old bombing victim, shown covered in blood and dust, became the poster child of the savage assault on Aleppo. A year earlier, the heart-breaking photograph of the lifeless three-year-old washed up on a Turkish shore captured global sympathy for the plight of war refugees. Why do some news stories of mass suffering arouse public concern while others are met with seeming indifference? To investigate this puzzling inconsistency, I partnered with University of Oregon Psychology Professor Paul Slovic, an international authority on psychic numbing, and research assistant Marcus Mayorga. In our cross-disciplinary study, we examined how story forms influence reader reaction to news accounts of large-scale violence in Africa. Our findings, recently published in the online edition of Journalism, show that how a story is told affects readers’ emotional response and, indirectly, charitable giving. Personalised stories and stories with photographic images stimulated the strongest emotional impact, while use of mobilising information (telling audiences how they could act to make a difference) and statistical information were found to have only a small effect on reader reaction. The straight “just the facts” news story – the predominant form of newspaper and wire service reporting – elicited the weakest reader response of all. The findings underscore that simply “reporting the news” is often insufficient to arouse civic response – what’s needed is empathetic connection that drives people to act. Social psychology provided the conceptual foundation for this study, demonstrating how motivation to help others is intrinsically wrapped up with emotional connection. According to this line of research, the victims most likely to be helped are those whose portrayal evokes strong affective response (i.e., distress, sympathy). But strong feelings do not induce action unless an effective remedy is apparent. Statistics documenting a problem’s massive scope have also been shown to be a turn-off, leading to disinterest, or feelings of hopelessness. To apply this framework to news stories, we conducted an online survey with embedded experimental conditions. A panel of 900 American adults were randomly assigned a news story emphasising one or more story-telling elements: personification, mobilising information, statistical information and photographs portraying people in need. Just to clarify, both stories served as templates that were modified in a variety of treatments, each highlighting a story form (i.e. personalisation, statistical emphasis, combo story with and without photo). To minimise artificiality, the original wording of each article was largely preserved, though the story’s focus was manipulated through editing and rearranging content and, on occasion, by providing additional information. Hence, each treatment offers a similar storyline but is distinct in emphasis and scope. After reading the story, participants answered a series of questions designed to assess their feelings of empathy, their sense of urgency and their support of governmental intervention. In addition participants were invited to donate a portion of a prospective lottery award to a refugee relief organisation. 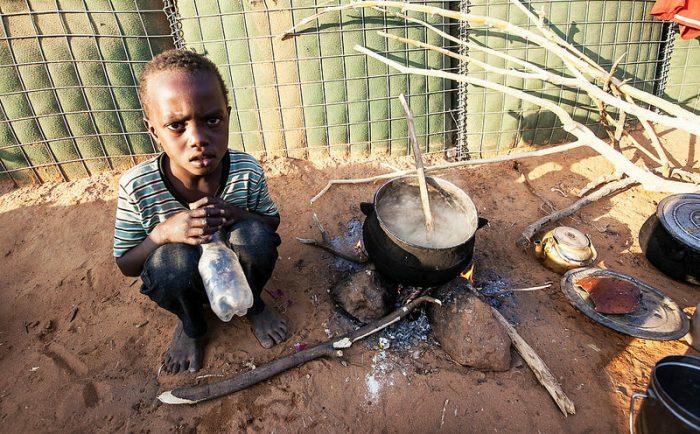 A young boy caught up in the fighting North Darfur, 2015 takes shelter in a refugee camp. Above and beyond all story forms, personification elicited significantly strong reader interest, concern and sympathy for the victims of the distant crisis in Africa. Personal stories also tended to accentuate anger, worry and distress. Indicative of conflicting feelings, readers of the personified story reported significantly greater motivation and sense of urgency – as well as heightened hopelessness. Clearly, the personal story arouses big feelings, but readers may be overwhelmed as well as galvanised. Seeing is indeed believing – the story with photo was rated highest in credibility. 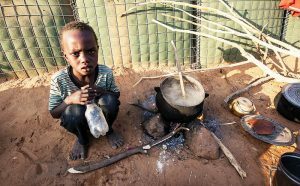 But contrary to expectations, news stories accompanied by a photo of struggling refugees otherwise did not garner more emotional power than text alone. While psychological research has shown that statistical information diminishes empathy and charitable giving, it is noteworthy that the story treatment emphasising numbers yielded minimal effect. In our study, statistics seemed neither to numb or overwhelm; on the other hand, this result indicates that quantification, even when providing an accounting of mass suffering, does not necessarily enhance reader impact. The lesson here is that selective use of numbers may offer important context, but journalists cannot rely on statistics alone to drive public response. What happens when personification is provided in combination with mobilising and statistical information? The answer: not much. The synergy of collective story treatments did not evoke a significantly different reader response than when the story treatments were provided separately. This suggests that combining the personal story with factual context – classic attributes of news feature reporting – may constitute quality journalism but the emotional impact of this approach is not apparent. 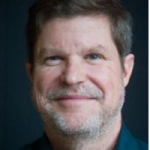 Seeking to “generate a response rather than a turned page,” Pulitzer-prize winning columnist Kristof deliberately frames mass suffering through the lens of an individual, to identify solutions, and to goad the public into action. While this study provides strong support of Kristof’s pursuit of the personal story, the findings also highlight the difficulty of turning empathy into meaningful action. Further research is needed to better understand the disconnect between reader affect and reader action. The answers communication scholars provide would foster news that motivates as well as informs. The full study, “Reader reaction to news of mass suffering: Assessing the influence of story form and emotional response,” is available in the online edition of Journalism: Theory, Practice and Criticism. 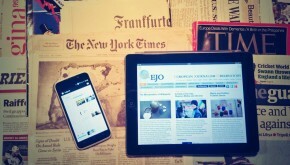 » Latest stories, Media and Politics, Research » Can Journalism Make Audiences Care?